On April 8th of 2019, from 11 AM to 1 PM, the Student Activities Board and DSU Live held Lunch on the Lawn. 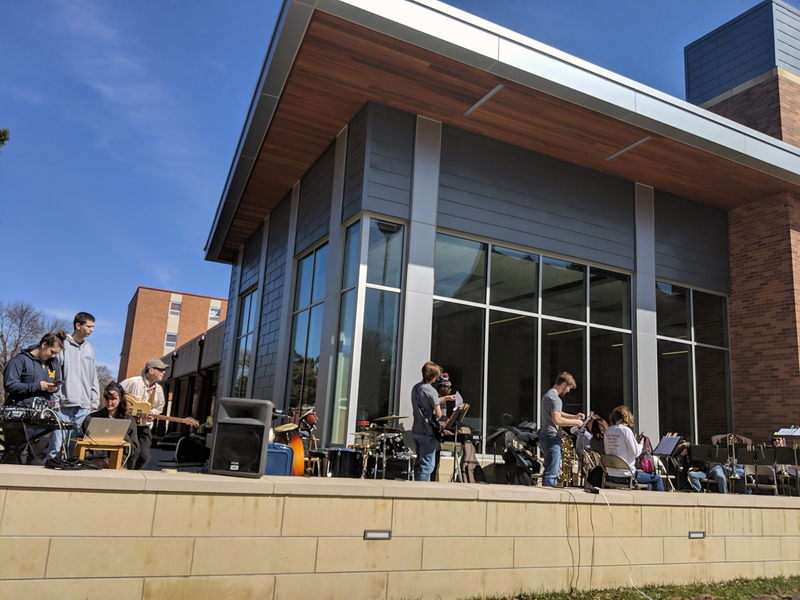 The event featured live music from DSU Live outside of the Trojan Center. The weather was nice on Monday aside from the wind, this caused the musicians to move twice as a result. Sandy Champion, the music director, said that they chose to hold the event on the 8th to accompany the concert that they had held on April 7th. “We just had our concert on Sunday, 4/7 at the Dakota Prairie Playhouse. The students worked so hard and sounded so great, I just wanted to bring them down to campus so that our campus community could hear them,” said Champion. There were also free “stuff-a-wizard” supplies inside the Trojan Center from the SAB. The “stuff-a-wizard” station was a type of build-a-bear situation. 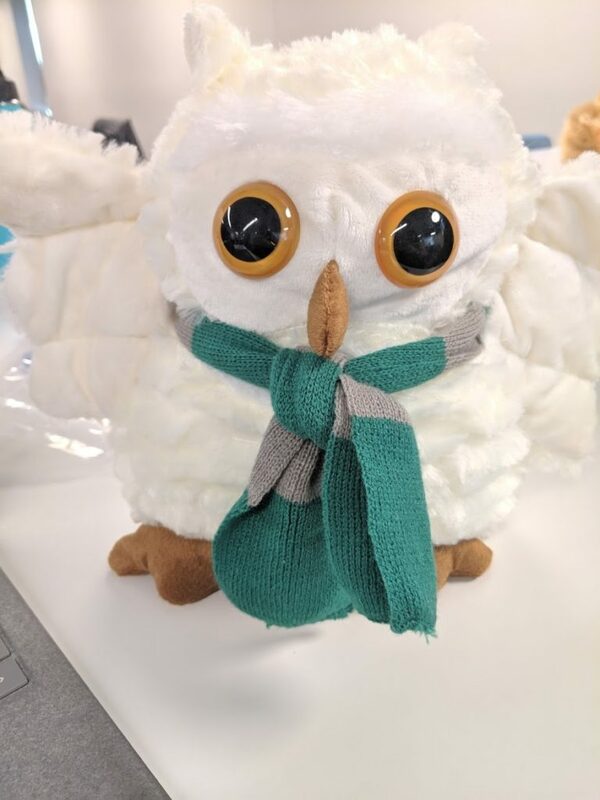 There were stuffed animals that represented all of the Hogwarts houses from Harry Potter (lion, snake, honey badger, eagle and an added on owl option). There were also vacuum sealed bags of stuffing and house scarves for each animal. The owl seemed to be one of the most popular options and the event was successful, with most of the animals and other materials having been used by the end of the event. SAB will be holding a number of events during finals week and in the upcoming weeks of April. There will be an escape room starting the Wednesday before and up through finals week, and some stress-free stations set up during finals week.